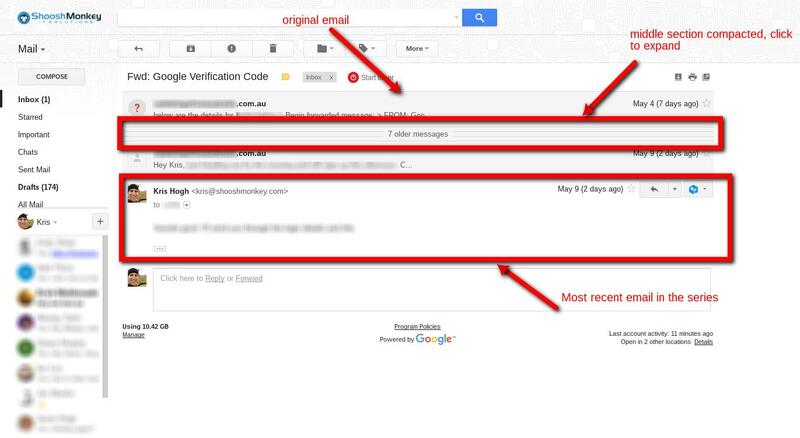 When people reply to your emails they can be grouped together, this is called conversation view. It serves to organise your emails and reduce the clutter but there is one fundimental difference to how normal email works. In conversation view your email is turned upside down. So the latest email in your series is down the bottom! This is an important aspect to conversation view and can be confusing. I use conversation view as without it my inbox is a mess. But it does take some getting used to. it expands to reveal the historical email trail but ... in the now reverse "normal" order. Current email up the top and oldest down the bottom. BOOM! 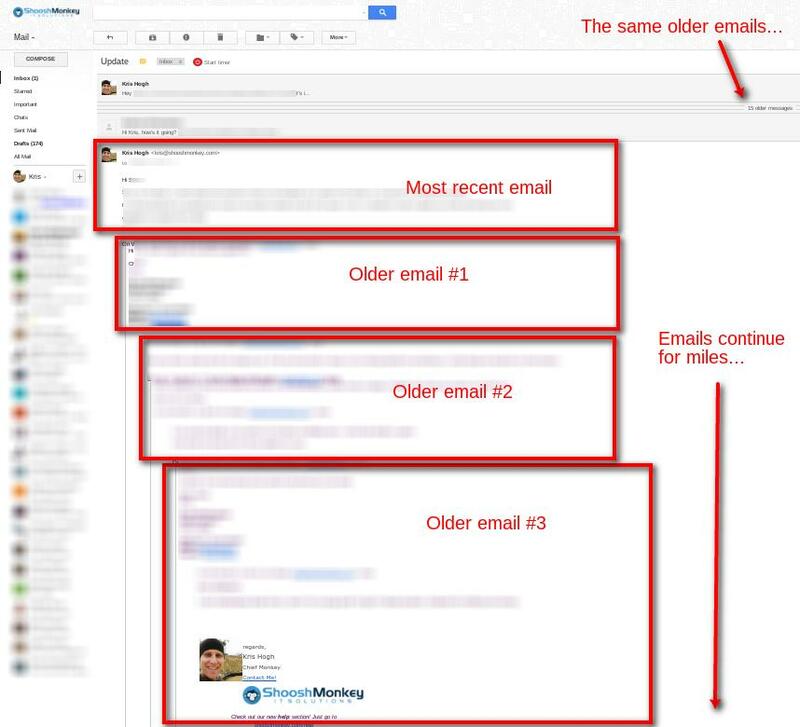 you have the email conversation history above... and now below your current email.... quite confusing. Excellent question. 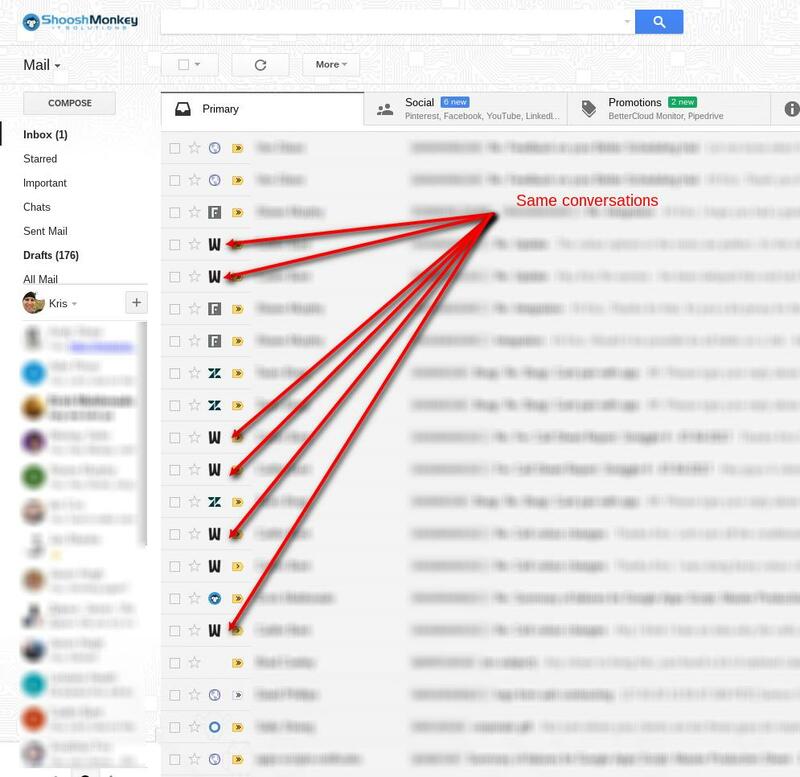 Your inbox is soooo tidy with it that the little upside-downy look can be tolerated, in my opinion. See below, this example shows just 1 conversation with a client, this would normally be grouped into a single email conversation but now it's scattered throughout my inbox. Horses for courses though. It's purely an individual decision. But I wanted to explain the common confusion with conversation views.